It is hard to give a concise answer because the quality of the surface gravel has so much impact on the result. 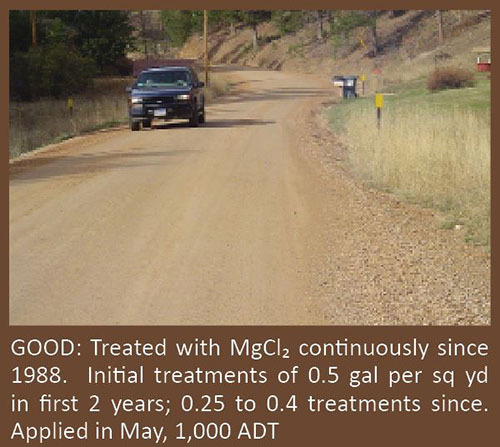 Good surface gravel prepared well for a MagChloride application generally performs well. Ken Skorseth, Gravel Roads expert and author of the Gravel Roads maintenance and Design Manuals, provides photos and suggestions in the attached solutions document here.